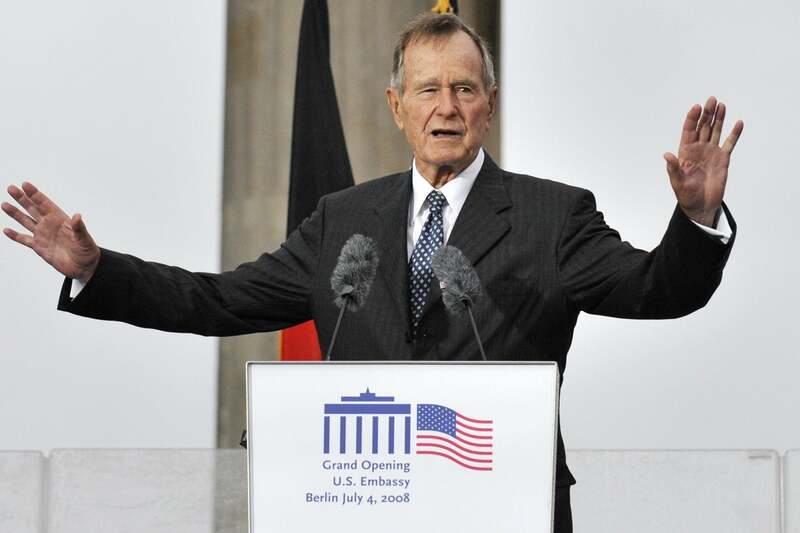 World leaders have paid tribute to former US president George Bush senior who has died at the age of 94. President Donald Trump tweeted a statement within an hour of the announcement as the White House flew its flag at half-mast. Mr Trump wrote: “Melania and I join with a grieving nation to mourn the loss of former President George HW Bush, who passed away last night. The speed of his response contrasted with the death of Senator John McCain last year, when the president was criticised for a slow and cool statement of condolence. Barack Obama, 44th president of the US, was also swift to respond to the news. He added that the late politician’s life was “testament to the notion that public service is a noble, joyous calling” and highlighted his work to extend America’s hand to new immigrants and people with disabilities. Mr Obama praised his “steady, diplomatic hand” and distinguished record in foreign affairs including the liberation of Kuwait and ending the Cold War “without firing a shot”. Kuwait was one of the first nations to offer its condolences, with state-run KUNA news agency flashing news of Mr Bush’s death. Kuwait’s ruling emir, Sheikh Sabah Al Ahmad Al Sabah, offered his condolences to Bush’s son, former President George W Bush, and current President Donald Trump. In a statement issued early Saturday, Clinton said he would be “forever grateful” for the friendship he formed with the man he turned out of the White House after one term. 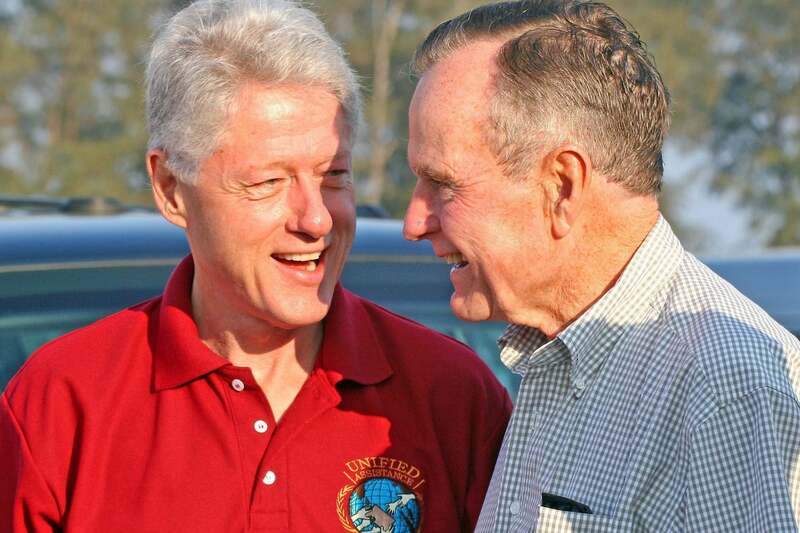 Clinton, who defeated Bush in the 1992 presidential election, says he was always struck by Mr Bush’s “innate and genuine decency” and by his devotion to his wife Barbara and his family. James A Baker III, Mr Bush’s former secretary of state and longtime confidant, said his friend’s legacy “will be forever etched in the history of America and the world”. He noted Mr Bush’s “lifelong record of selfless patriotic service to our nation”, and said that in each of his roles had had “led with strength, integrity, compassion and humility – characteristics that define a truly great man and effective leader”. Sir John Major has also paid tribute to the former American leader. 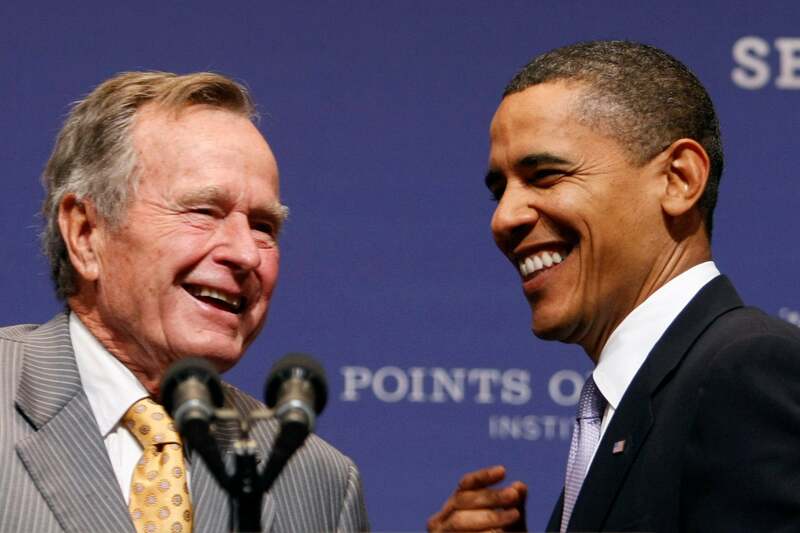 He said: “George H W Bush was above all else a family man and, for him, the American people were part of that family. “In public office he served as he lived, with compassion, courage, dignity and grace. As president, he saw America’s obligation to the world and honoured it – and he remained committed to public service until the day he died. “I feel privileged to have worked with him, and even more privileged that he became a lifelong friend. He was, quite simply, one of the most deep down decent people I have ever known.